Enjoy the intoxicating fragrance of hyacinths and the dramatic blooms of amaryllis (Hippeastrum), 'Paper White' daffodils and other bulbs for Christmas and New Year. These bulbs are readily available and easy to grow in just a few months. To have hyacinths in flower for the Christmas period make sure you buy bulbs labelled 'prepared'. You may wish to wear gloves when handling the bulbs as hyacinths can cause skin irritation. The simplest compost to choose is bulb fibre, especially if the container has no drainage holes. 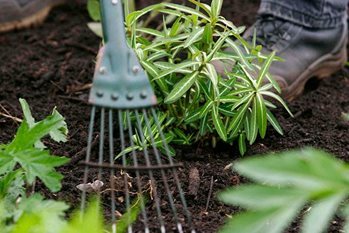 Alternatively, a soil-based or soilless compost can be used, provided it has a good, open texture and is moisture-retentive but free-draining. It is not necessary to use a fertiliser-rich growing medium or to feed the bulbs after planting. Wet the fibre or compost first and place a layer in the bottom of the bowl or pot. Set the bulbs on the fibre or compost. They can be close together, but not touching each other or the sides of the container. Fill around the bulbs with more fibre or compost, leaving about 1cm (½in) between the compost surface and the container rim to aid watering. The tops of the bulbs should just be showing at the surface. After planting, the bulbs need a dark and cool period (ideally 9°C/48°F) to encourage the development of a good root system. This is an alternative method for growing hyacinths. The bulb should be slightly smaller in diameter than the vase so that it sits snugly in the vase. Fill the glass with water to the neck and then place the bulb in the top. The water level should be just below the bottom of the bulb. The plant can then be treated in the same way as potted hyacinths (below). Bulbs such as Narcissus 'Paperwhite' and N. 'Bridal Crown' are not hardy in most parts of the UK, so are best allowed to dry off and stored for replanting in containers later in the year. Allow hyacinths to die down naturally after flowering and then plant the bulbs in the garden at twice their own height. Hippeastrum bulbs can be kept in active growth for a few months, then rested and brought into flower again.